Our last show of the year was the annual Maker Faire hosted by the Regina Public Library. There, we were able to showcase the work of Jim, Adam, Jeff, Karen, Trevor, Lorelie and Tim! Our second display at this show saw Jim, Chris, Waylon, Jeff, Adam, Nicole, Scott, Lorelie, Tim, Wes and Jill bring many winter-themed creations! This was our third appearance at the show with many of our Regina members taking part! Jim, Lorelie, Trent, Jeff, Tim, Ray J., Ray M., Adam, Caleb, Chris, Waylon, Nicole, and Jill all built creations for this show. Our fourth annual brick showcase was a BLAST! 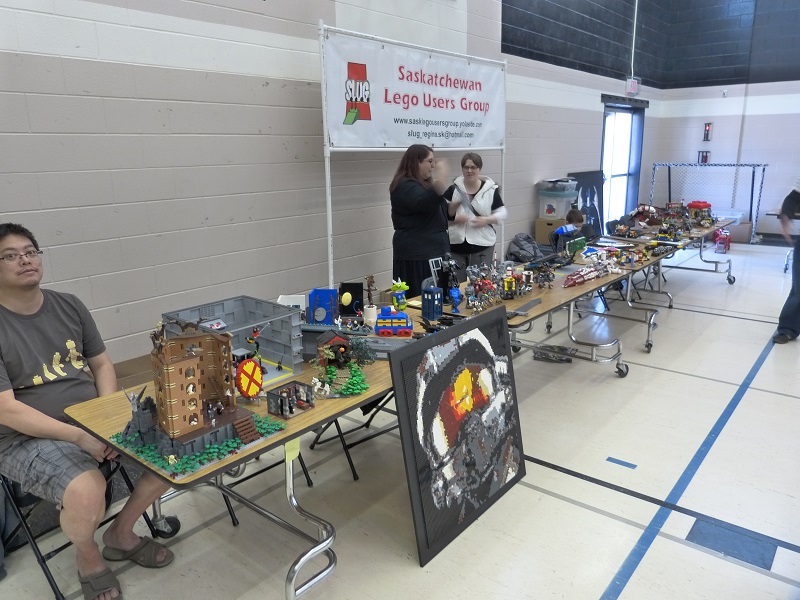 24 AFOL participants showcased hundreds of LEGO creations for over 2200 show visitors! This was our first appearance at the show which revolved primarily around custom and restored cars and vehicles. Wes, Ray M, Scott, Lorelie, Ray J, Adam, Trevor and David provided various cars, trucks, and vehicle-type creations. This year's display spanned a massive 52' and included Jeff, Scott, Trent, Adam, Waylon, Ray, Lorelie, Chris and Caleb, with some additional LEGO scenes and vehciles by Wes and Ray J. We were awarded with the Best Non-Scale Layout award for our display. Caleb, Scott, Adam, Ray M., Trent and Dave created our ~30' train layout this year, filled with multiple different themes. This was accompanied various creations made by Ray M., Ray J., Caleb, Scott and Waylon. Our layout won the Best Non-Scale Layout award yet again this year!